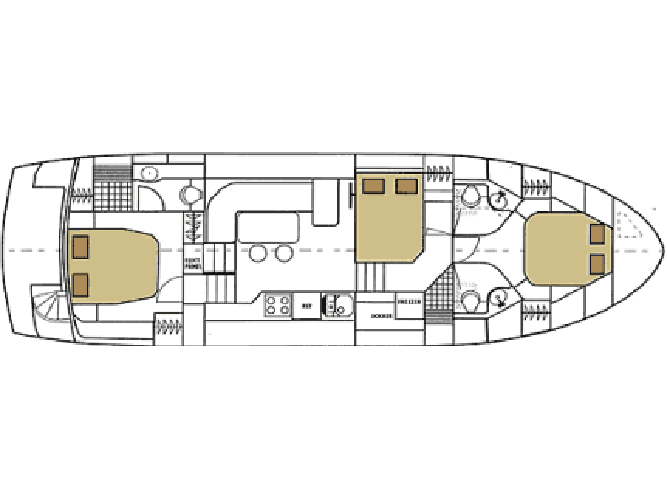 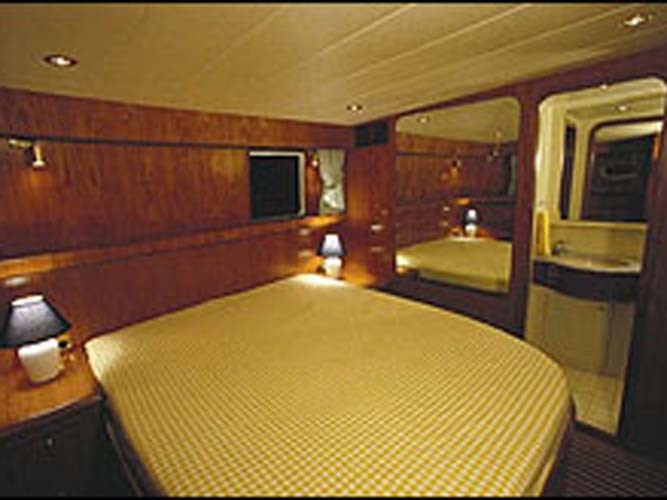 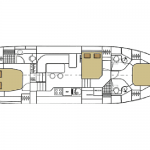 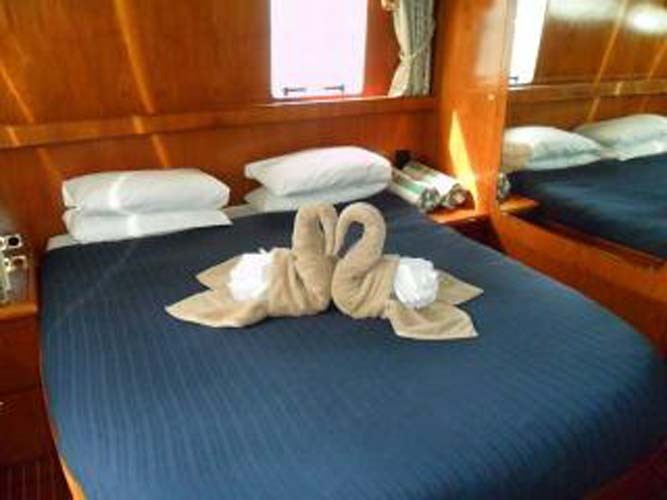 The power bareboat Horizon 48s accommodates 3 couples in three full Queen berths with en-suite facilities and air-conditioning throughout. 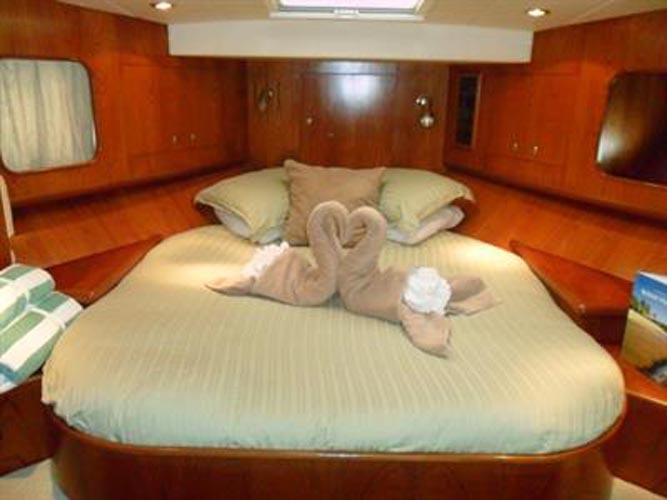 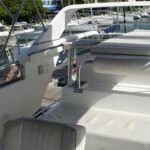 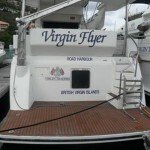 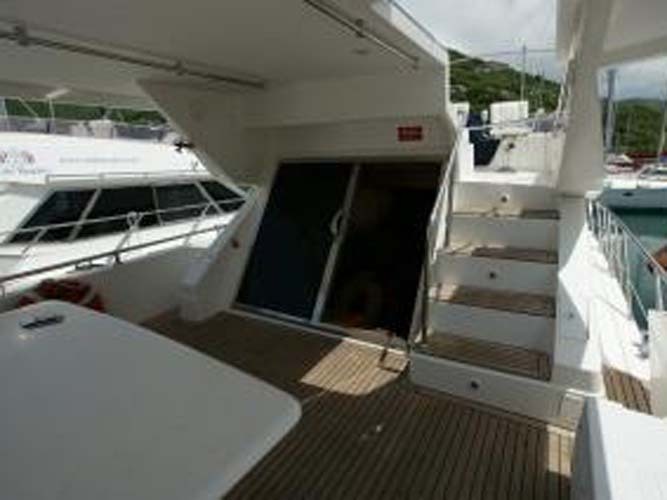 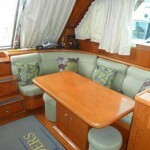 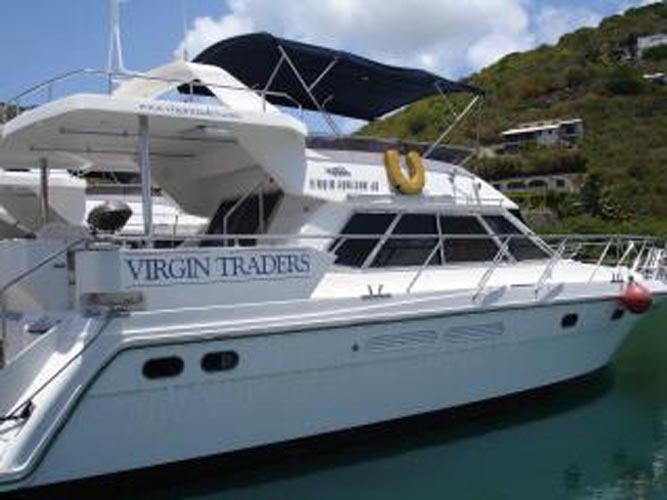 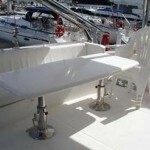 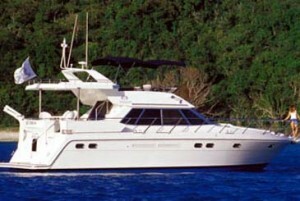 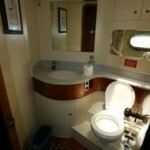 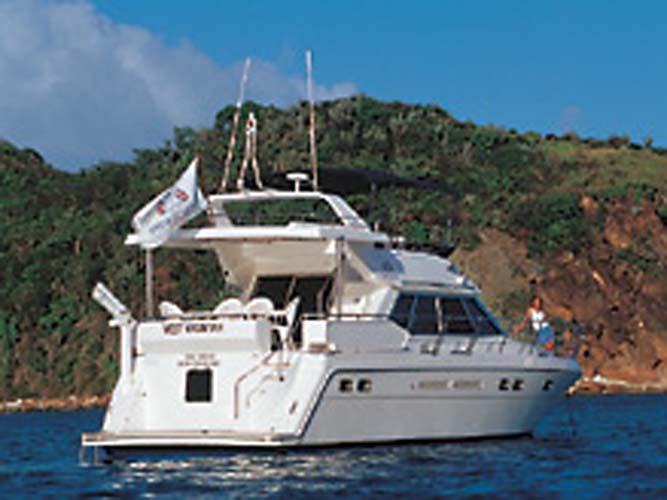 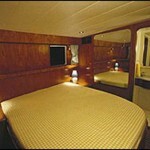 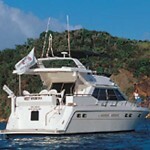 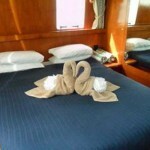 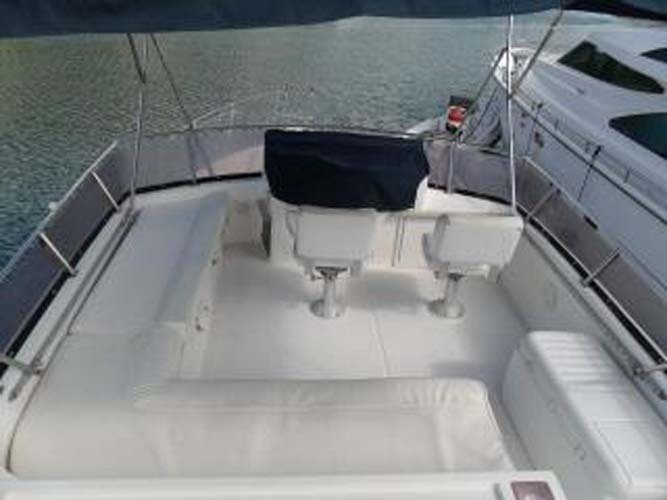 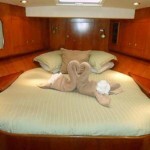 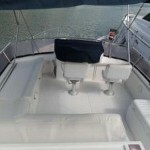 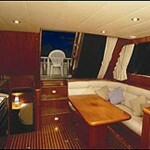 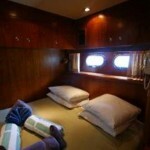 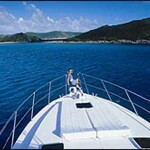 This beautiful boat has all of the comfort and storage space needed for a relaxing & wonderful time. 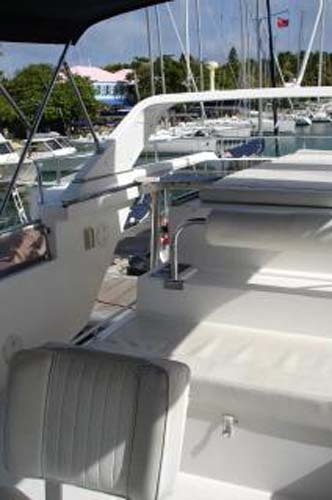 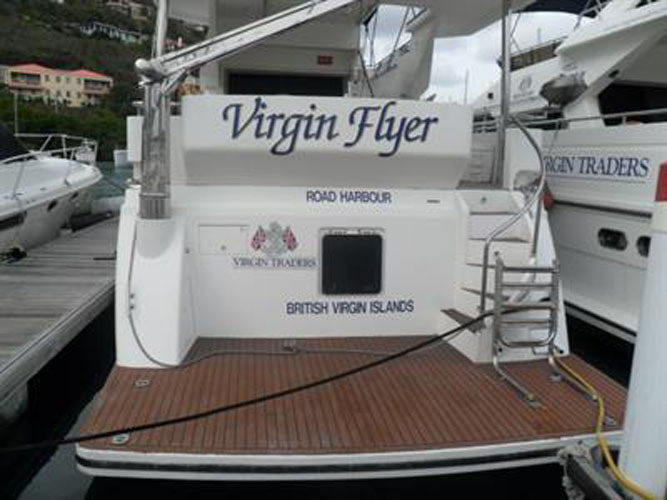 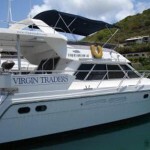 You can see from the pictures the commanding views and space on the Fly bridge, this makes docking and handling the boat very easy indeed as you cruise around from Island to Island. 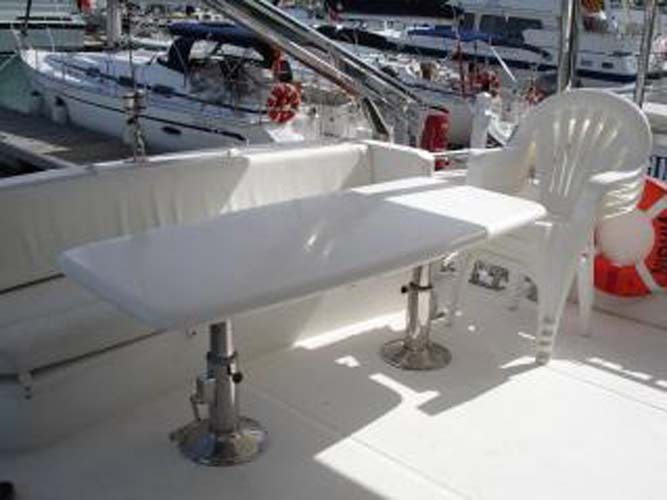 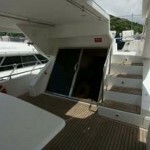 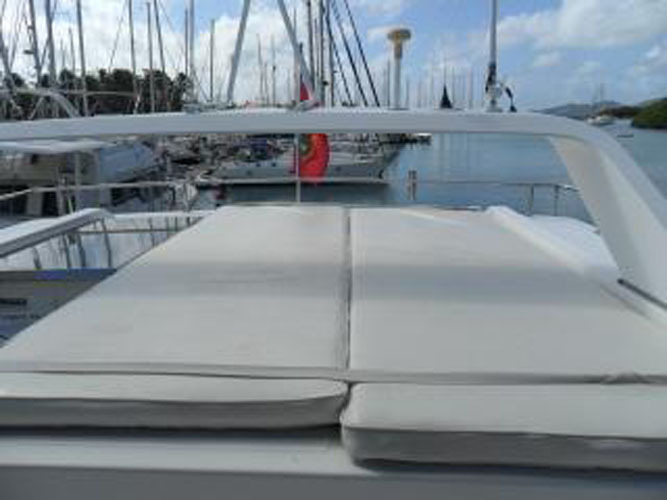 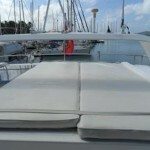 Once at your chosen destination a full width swim platform, accessed from the aft deck by a sweeping ‘sea stair’ makes for easy boarding of the dinghy, or going for a swim. 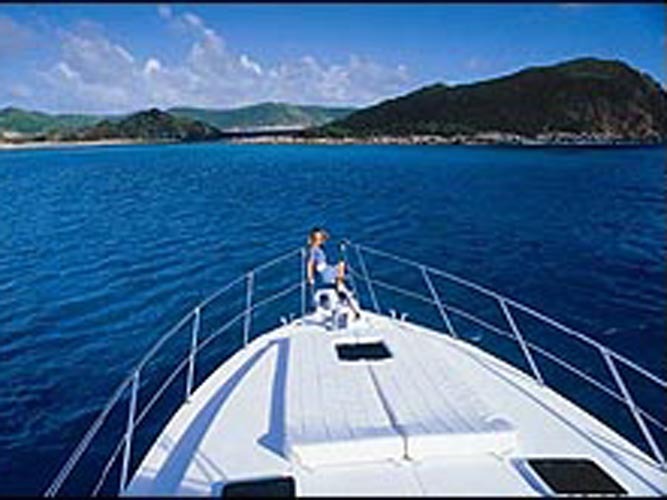 A hot and cold freshwater shower is also part of the swim platform ensemble, as is the electric dinghy crane and swim ladder. 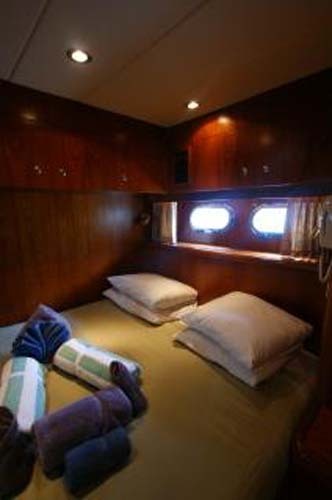 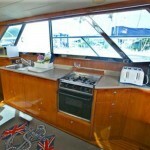 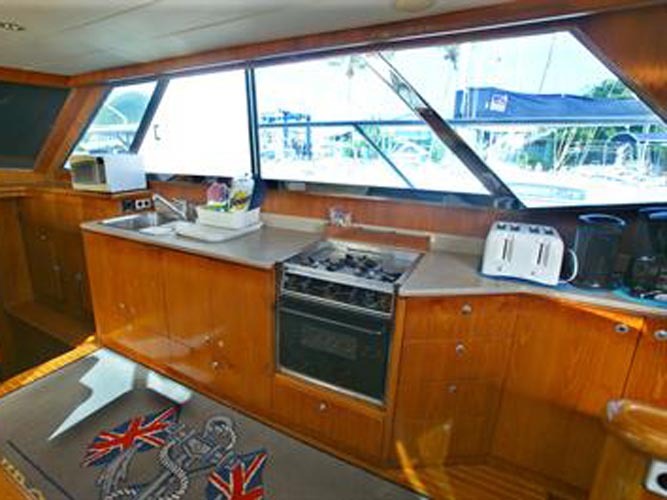 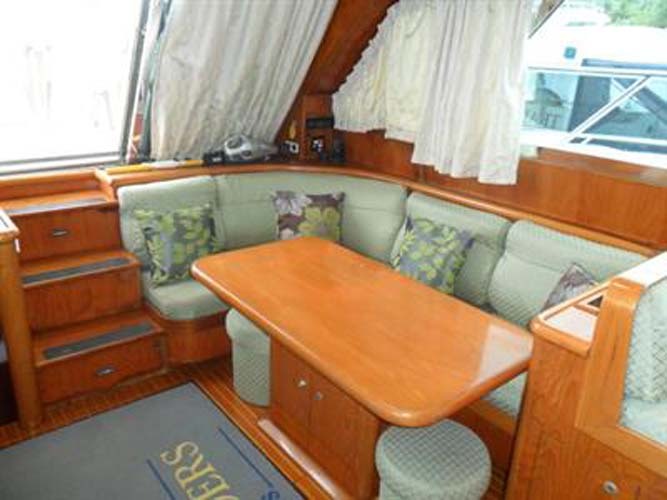 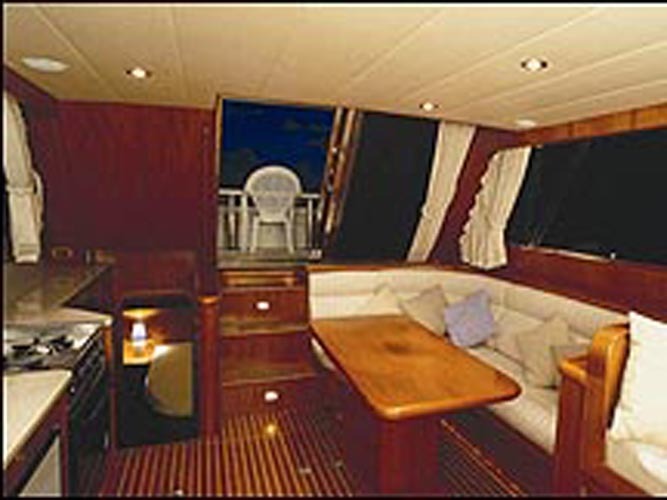 The salon, lower helm position and galley are cleverly blended into the same bright and comfortable area with wrap around views to enjoy, so no one is left out, even if cooking in the galley. 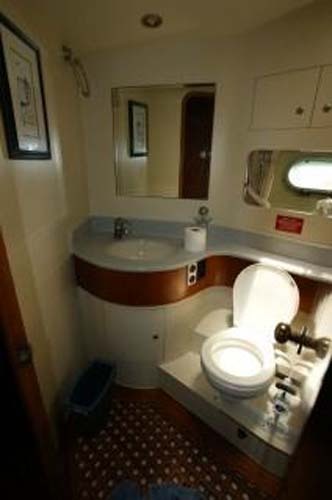 A generous brightly lit ‘walk round’ sized engine room is easily accessed through the salon floor so the daily routine of engine checks is no problem at all.